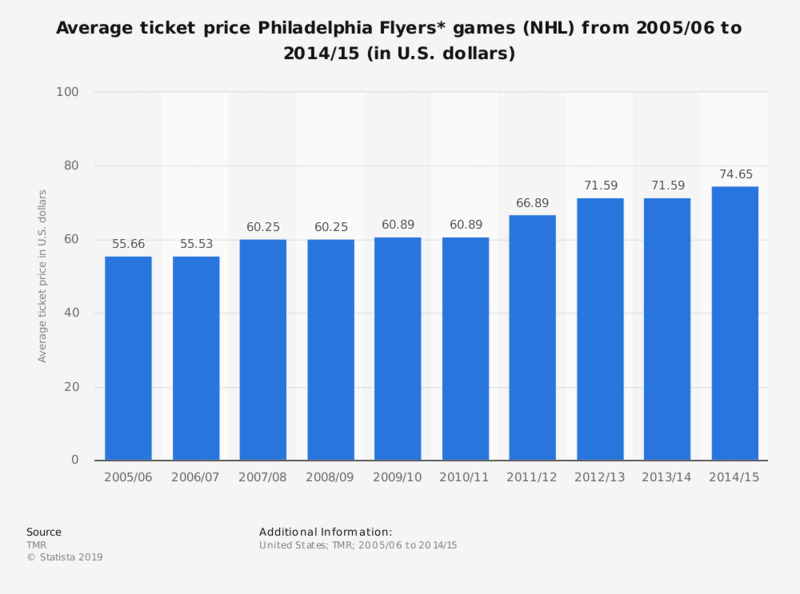 This graph depicts the average ticket price of Philadelphia Flyers games within the National Hockey League from 2005/06 to 2014/15. In the 2005/06 season, the average ticket price was 55.66 U.S. dollars. The Flyers play their home games at the Wells Fargo Center in Philadelphia, Pennsylvania.